Identify career opportunities through Vetforce. Frequently Asked Questions (FAQs)—Read knowledge articles to find answers to your questions about using Vetforce, such as trouble with logging in or how to sign up for classes. Vetforce Virtual Events—Discover virtual and in-person events, such as networking opportunities, for Vetforce members. Career Prep—Access information to help you build soft skills, prepare for interviews, create your resume, and more. Contact Vetforce—Have a question or need assistance? Submit a ticket with the Vetforce team to get help. To learn more about the career opportunities that await those with Salesforce training, click Explore Salesforce Careers from Vetforce Resources. This career page includes statistics about job openings by region, average salaries for Salesforce careers, and personal stories from other Trailblazers like yourself. Here are a few of the in-demand career opportunities for Vetforce members. Are you a military spouse who moves a lot because of your spouse’s active duty? No problem. Because Salesforce is a cloud-based platform, job opportunities for administrators are often flexible positions that don’t require you to be in a traditional office setting. With nearly 500 new members joining Vetforce each month, we’re excited to see this program scale and the opportunity for members scale with it. Those who complete the program become our Vetforce ambassadors who spread the word about the training and share how their Salesforce skills impacted their career. They support the Vetforce learning community by offering technical Salesforce guidance or personal career advice. 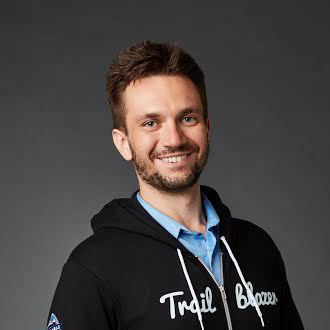 Jesse Grothaus is a proud member of Vetforce who started working as a Salesforce-certified business analyst and recently founded his own company, Cloud Pathfinder, as Lead Salesforce Consultant. Learn more about Jesse’s story: https://trailhead.salesforce.com/en/trailblazers/jesse-grothaus. Lauren Zolp, Salesforce Product Manager at Figo Pet Insurance, went from doing her first Trailhead module to becoming fully certified and employed as a Salesforce Admin in 8 weeks, all while her newborn slept. “I didn’t know how to tell people about the skills I learned in the military or how to translate them into a corporate role,” Lauren says. She was unemployed for 3 years. “I was really down and out, but I finally saw something for Vetforce.” She didn’t quite know what Salesforce was (she thought it was some sort of online sales job), but since the program offered training for free she figured she didn’t have anything to lose. 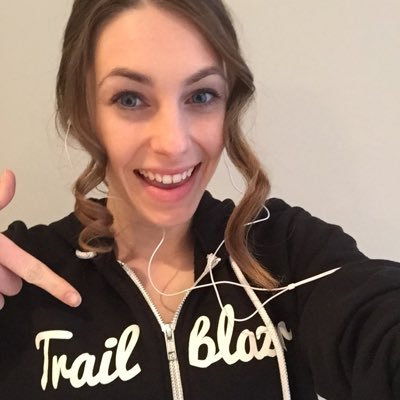 Check out more of Lauren’s story: https://admin.salesforce.com/interview-lauren-zolps-vetforce-trailblazer-story. Employers are discovering the benefits of Vetforce, too. Many understand the unique skills that veterans bring to the workforce. When you add Salesforce certification on top of that, they’re thrilled to fill entry-level Salesforce jobs with Vetforce members, or provide paid, work-based learning opportunities. Check out our list of Salesforce customers and partners that hire military talent. Thousands of Vetforce employers are here—we always want to showcase military-friendly employers where Vetforce members can put their new skills to use! 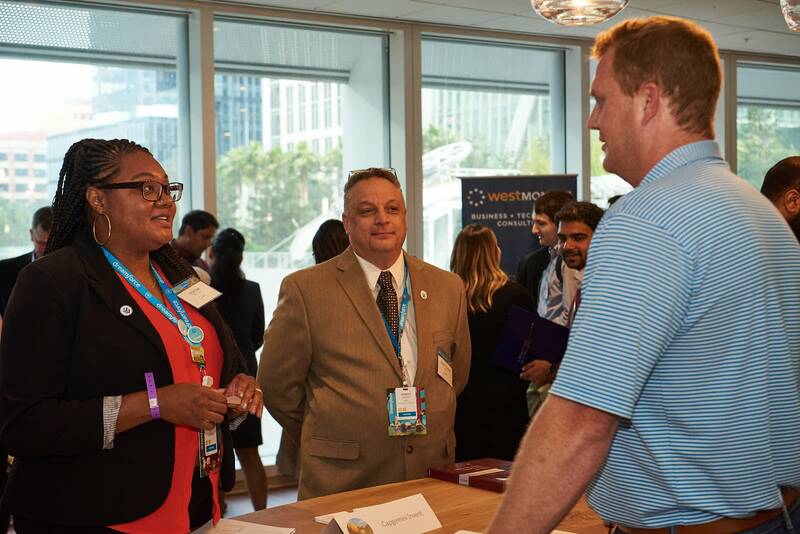 Here’s a great example of the value Vetforce members are bringing to their new employers. “We learned about Vetforce after interviewing one of their members who had certified through the program and trained through the Merivis Foundation. We were very intrigued by his military background as a Marine, as well as his Vetforce journey. After extending an offer and joining our team, he quickly demonstrated his amazing work ethic and a willingness to take on any challenge he encountered. Shortly after our first Vetforce hire, we came across another Vetforce and Merivis Foundation alumni. While this Vetforce member had less hands-on-consulting experience, we were confident that the training he received through Vetforce and Merivis would make him a successful team member. His can-do attitude helped him flourish in his role; in fact, he’s done such great work that our customer extended him three times on his first project! In addition to the training and resources available to our Vetforce community, we sponsor two in-person cohorts to attend Dreamforce and TrailheaDX every year. These cohorts get exclusive opportunities to learn about the platform, connect with partners and customers in the ecosystem, and help evangelize the Vetforce program. To join a cohort, watch for announcements in the Vetforce community. Outside of these events, we also have smaller groups that attend regional events such as the World Tours and Connections. Attend these in-person events to deepen your connection to the community, while accessing an enriched, exclusive experience to network and learn about the Salesforce Ohana. 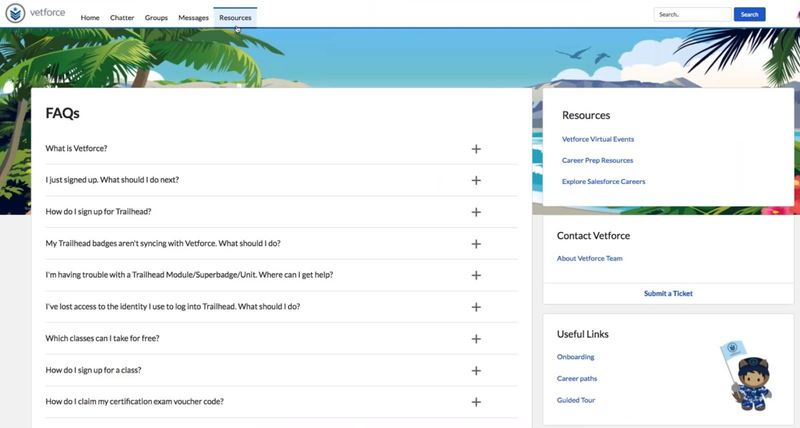 Now that you understand how to get started with Vetforce and the career opportunities that await, go to trailhead.salesforce.com/veterans to sign up and get started! You can also learn more about the value of hiring veterans in the Military Veteran Recruitment Strategy module, and get valuable tips for implementing inclusive workplace policies in the Military-Friendly Workplaces module.